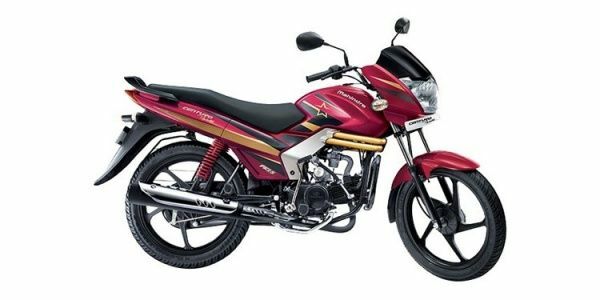 Mahindra Centuro prices start at Rs. 43,250 (Ex-Showroom) and the top end variant Mahindra Centuro Disc Brake is priced at Rs. 54,935 (Ex-Showroom). Mahindra Centuro is available in 4 variants and 6 colours. Share your experiences with Centuro? The claimed ARAI mileage for the Mahindra Centuro petrol is 85 kmpl. Q. Where is Centuro engine no? It is written on the engine. For more details, we would suggest you check your bikes user manual. Q. Self start avaliable for Rockstar kick alloy? Yes, it is equipped with Kick and Self Start. Q. What is the rear tyre size of Mahindra Centuro? Mahindra Centuro comes with 18 inch wheels at both front and rear. Q. Is there any connection between Centuro's original key and it's engine?? Is it not start by any duplicate key??? Yes.... the Key works as sensor. it gave signal to Engine and then Anti Theft Alarm And Engine Immobilizer goes off and engine turn on. The Mahindra Centuro is the company’s calling card to the premium commuter segment. Packed with features that have never before been seen in the segment or even the Indian market, the Centuro offers tremendous value for those on a budget.